Even if you don’t own a smartphone and have never played a computer game more sophisticated than solitaire, you have probably heard of Pokémon Go by now. The phone-based game boasts 30 million players worldwide, less than a month after its release on July 6th. In that brief time, it has been both praised and blamed for its impact on the larger world. The internet is awash with testimonials from players with depression and social anxiety, who say the game has helped them get out of the house and meet new people; balanced against these are the many news stories about traffic accidents, caused by drivers who are paying more attention to catching Pokémon (the word is a portmanteau of “pocket monster”) than to other drivers. For weal and for woe, Pokémon Go is already having an impact on how its millions of players participate in social space. 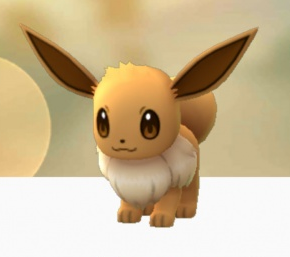 But the game’s ambitions are even bigger: Pokémon Go creator Niantic wants to change the way players think about the world that exists underneath the augmented game layer. John Hanke, Niantic’s CEO, suggests that the game pushes players to “see the world with new eyes.” In this, he is in a sense following on the heels of Satoshi Tajiri, who designed the first Pokemon games some 20 years ago to replicate his own childhood experiences of catching insects. Though none of Niantic/Hanke’s public talk about the game picks up on this aspect of its original conception,Pokémon Go seems to take the concept full circle. By “see the world with new eyes,” Hanke means that he wants to prod players to go to new places in their neighborhoods–places they might not otherwise go–and to see places they do visit through different lenses. It is less outlandish than it may initially seem that a phone-based game could have such a breadth and depth of real-world impact. As Rachel Wagner argues in Godwired, all narratives are a form of “cosmos construction” that help participants make sense of the world, and video games are a particularly potent form of cosmos construction because a player can move in them in a way akin to the real world. Pokemon Go constructs a cosmos with much more direct claims on our own, because it is our own: it takes place not in a purely fabricated virtual reality but rather in augmented reality, which means that all of the elements of the game are overlaid on the external world, and anchored to it. The game can’t be played from the couch; in order to catch Pokémon, players must physically go to the sidewalks, parks, or cafes where they are to be found. They must likewise visit the “pokestops” where the pokemon-catching tools can be collected: public landmarks, businesses, churches, or museums. The game even builds in rewards for walking which cannot be emulated by car travel. The augmented reality of the game remains, deliberately, firmly rooted in the non-augmented world. Pokémon Go is not the first augmented reality game–much of Go‘s source data was created by the players of Ingress, a 2011 from the same developers–it is the first to become a massive social phenomenon. Coffee shops are looking for ways to capitalize on the new new foot traffic and draw it toward themselves. While hospitals and some more somber monuments such as the Holocaust Museum have banned the game, many art museums have explicitly encouraged players to come hunt pokemon in their halls. 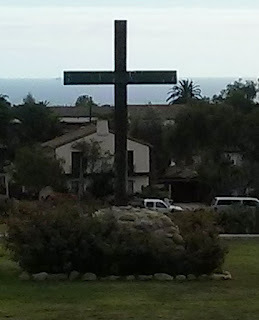 Many churches are treating the increased foot traffic as an opportunity to extend hospitality and to engage in conversation (evangelizing or otherwise) with people who are stopping by to visit the pokestops or train at the gyms that are virtually attached to their buildings and gardens; many are offering bottled water to players, and some are discussing installing phone charging stations in their parish halls. These churches describe their engagement with players as “offering hospitality,” and note that the game has some positive correlation with theology: the players are “seeking outside themselves” and becoming less self-focused. The players could even become more interested in unseen realities and journeys to uncover them through playing Pokémon Go, and that cultivated disposition could lead to more openness toward religion. And yet, for all that the game provokes new social interactions with individuals, communities, and institutions, it is the game’s re-enchanting of nature that is its most novel contribution; it uses an interest in social networks to get players to engage with nature. Moreover, the game teaches players about the cycles and processes of the natural world. Pokemon have a complex taxonomy–there are many kinds and multiple forms of each kind–and players take an active role in “evolving” Pokemon through the forms, or strengthening prize specimens. But both of these processes are a drain on resources, and require the player to weigh the thriving of a single species against the impoverishment of other creatures under that player’s care. Not only does the language of evolution suggest that growth and change are part of the lifecycle, but by also having humans actively evolve the Pokemon, it argues subtly for human agency in evolution on a descriptive level. The game also has an ecosystemic component; Pokemon have specific ecosystems that they live in, and when the player is in that ecosystem in our world, those Pokemon show up. For example, water-type pokemon are most easily found near lakes, rivers and ponds, but whereas pokemon more frequently appear in parks and fields. The natural world is re-enchanted with creatures that cannot be found in our zoos, but they are compelling enough to draw players into nature itself. There is already good evidence that Pokémon Go is having an impact on the social relationships of at least some of its players, as its designers sought to do. Whether the game is successful in reorienting its players dispositions toward the natural world is more difficult to measure. Thus the “contingency” in the title – it’s not yet clear whether this re-enchantment, this new layer of perception the game hopes to confer on its players, will remain present when the phones have been put away. Gander, Kashmira. 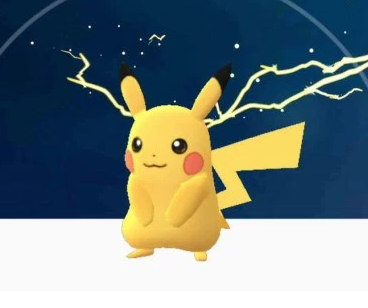 Pokémon Go: How the game is helping players tackle anxiety and depression. " Independent. July 12, 2016. The Ultimate Game Freak. Time. November 22, 1999. Bogle, Ariel. The story behind 'Pokémon Go's' impressive mapping. Mashable. July 10, 2016. Weinberger, Matt. The CEO behind 'Pokémon Go' explains why it's become such a phenomenon. Business Insider. July 11, 2016. Wagner, Rachel. Godwired: Religion, Ritual, and Virtual Reality. New York: Routledge, 2011. Emanuelle Burton earned her PhD from the Divinity School in Religion and Literature in 2014, and is currently a post-doctoral fellow in the computer science department at the University of Kentucky, collaborating with two computer scientists to develop a science fiction-based textbook for use in computer science ethics courses. She is completing a book on the Chronicles of Narnia, to be published by the University Press of Mississippi. Kristel Clayville is currently working as a chaplain and ethicist at Northwestern Memorial Hospital while putting the finishing touches on her dissertation. Her research focuses on the interpretation of the Bible in environmental ethics, and she makes brief forays into bioethics, especially to write about organ transplantation and the intersection of resource scarcity and decision-making. She is a Visiting Assistant Professor of Religion at Saint Mary's College in Notre Dame, IN for the 2016-17 academic year.